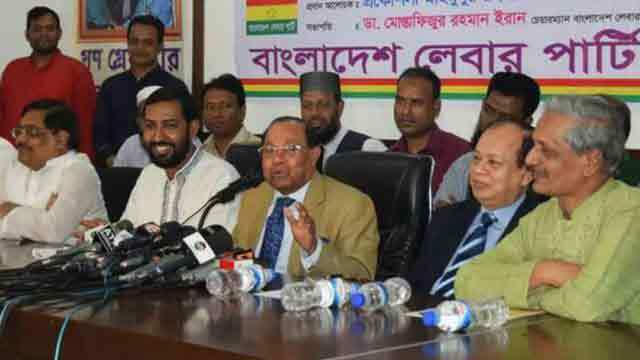 Dhaka, Mar 3 (Just News): BNP Standing Committee Member Moudud Ahmed today said Prime Minister Sheikh Hasina's election campaign is a violation of the electoral law. According to the electoral code of conduct, no one can promise for development after announcement of the election schedule and thus the prime minister is now taking the opportunity, Moudud said. "It’s blatant immoral and unlawful and also contrary to the country's constitution," Moudud, also a former law minister, said while addressing a programme at the National Press club in Dhaka this noon. The BNP leader also blasted the Election Commission for its inaction in stopping such election campaign and said "Our Election Commission is spineless and also loyal to the government." He also criticised the prime minister as she has been seeking vote for 'boat', the electoral symbol of the Awami League, expending public money.